Put your foot down on the accelerator and increase the speed of your driving lessons with Edwards. Our intensive driving courses in Southampton, or sometimes known as crash courses, are specifically designed driving courses, incorporating over 35 years wisdom in the industry. We have tailored the intensive driving courses in Southampton to cover all aspects of the driving syllabus in a short amount of time in order to get you through the test in as little as 1-2 weeks. Lessons hour by hour or an intensive driving course in Southampton? You can pass your test in a shorter amount of time. You book in larger blocks to what suits you and fits around your schedule. Learning is constantly reinforced and goes in a lot better as you constantly repeat procedures. Maybe you have a new job lined up in Southampton which means you need a driving license, or perhaps you don’t want to catch the bus to Southampton City College. Maybe you just like to get stuff done and out the way. If so then the intensive driving course in Southampton is for you. If you’re a busy person doing other things, by block booking the crash course lessons it means you can get the learning done in one go, leaving you to get on with what you need to be doing. What does the ‘intensive’ bit of the intensive driving course mean? Intensive may be the wrong word for this type of driving lesson. Thinking about it, so does ‘crash’ in the crash driving course. What we actually mean is taking lessons in blocks. These can be as small as 3 hours, or as long as you’d like, and this is entirely up to you. You may opt to do 3 hours per day over 10 days while studying at Southampton Uni, or 6 hours per block once a week over the course of a month. But how many hours will I need I hear you say? Is usually a 1-2 hour driving lesson to give us an idea of how long your intensive driving course in Southampton will need to be. This is normally more useful for novice drivers, as it’s hard to tell if you’re a beginner immediately how you’ll take to the road. If we think you’ll need 15 hours of driving lessons, it’s then up to you how you’d like to set up the blocks. 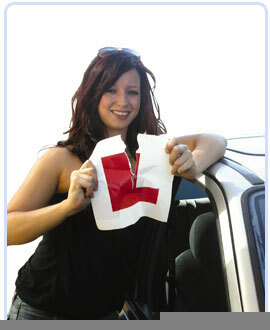 The beginners crash driving courses in Southampton are usually an initial 25 hours. Why? Because this is nearly always the absolute minimum number of hours to get you driving test ready. Now we’re not saying you won’t need more driving lessons after this, because maybe you will, but after 35 years in the business we’ve found this is a good starting block. The 25 hour beginners intensive driving courses based in Southampton are £695. This includes the driving test fees, free plus driving course and other benefits mentioned in a moment. If you’d like to book a crash course in Southampton please feel free to contact us or call on 01202 751959. There is an Edwards course for every learner driver, whether you are a completely new driver, or have driving lessons experience, but in general the following benefits make an intensive driving course superior to the standard hourly lessons. The intensive driving courses are taken in blocks of at least 3-5 hours at a time. Through learning in this manner we have found your driving improves quicker and information is retained better as it is practiced more frequently. We base the driving course on 3 stages, each increasing in skill and difficulty. Once the learner completes the basic skills they will then move on to the harder components of driving. Driving lessons will be based both around the general Southampton area and the driving test centre (usually Forest Hills or Maybush). By the end of the intensive driving course you will be comfortable and confident with all aspects of driving. To book please contact head office on 01202 751959 or 07929 661 714, or drop us an email and someone from the office will be in touch. We cover Southampton and all surrounding areas including Aldershot, Andover, Basingstoke, Bordon, Brockenhurst, Eastleigh, Emsworth, Fareham, Farnborough, Fleet, Fordingbridge, Gosport, New Forest, Southsea, Romsey, Totton, Hedge End, Winchester, Waterlooville, Yateley and Portsmouth.